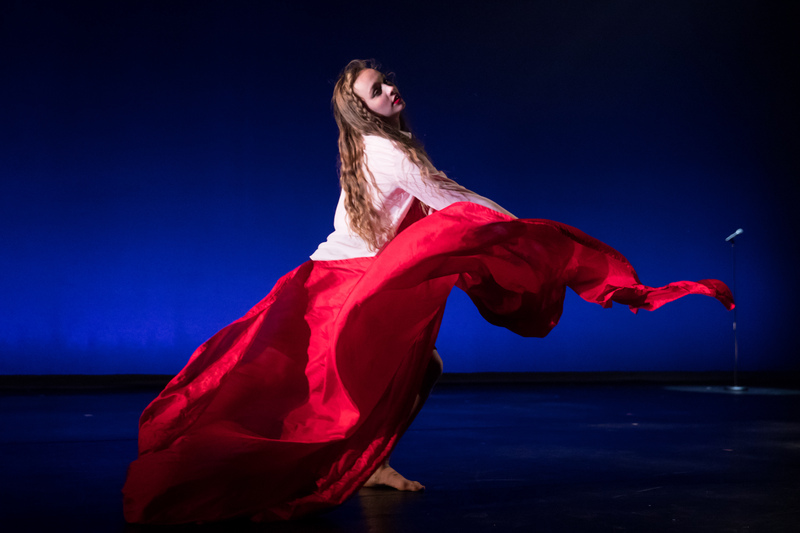 EVANSTON, IL — Northwestern University’s dance department has presented Danceworks, its annual showcase of contemporary choreography, since the 1980s. A few years ago when Joel Valentín-Martinez took over artistic directorship of the concert, he designed the Danceworks programming as a vehicle to create more choreographic opportunities for faculty whose primary interest was dancemaking, and to create more opportunities for Northwestern students to work with local, national, and international choreographers who are impacting the field of dance in meaningful ways. Through this initiative, Danceworks programs have complemented the choreography of its talented faculty with a number of venerated dance artists, including Tony Award-winning choreographer Garth Fagan and Ballet Hispanico artistic director Eduardo Villaro. This year, Valentín-Martinez took a different approach by curating a bill comprised wholly of independent, Chicago-based, women choreographers. Danceworks 2018 @ Hi-Speed features innovative new works from one of Dance Magazine’s “25 to Watch” Nejla Yatkin, Carrie Hanson, founding artistic director of the critically-acclaimed dance company The Seldoms, and Vershawn Sanders-Ward, founder and executive artistic director of Red Clay Dance Company. Since the choreographers are local, the participating students were able to engage more deeply with Yatkin, Hanson, and Sanders-Ward during the creative and rehearsal processes over a greater period of time. This was a shift from previous guest artist commissions, which are usually time-restricted when working with artists outside of the Chicago area due to travel and scheduling constraints. The result is a concert rich with imagery and beautifully crafted dances in which choreographer and performer alike are fully invested. Through a diverse blend of movement, projection, spoken word, and carefully selected costuming, On The Eve Of… supplies us with juxtaposing images of the feminine. By way of this contrast, Yatkin confronts the age-old and often times conflicting constructs that many women must learn to navigate. The initial set of images that we are presented with are a female figure cloaked in a red sheath, who moves seamlessly between vulnerable abandon and candid strength, and a woman in a black “power suit,” who is situated amongst a line of microphones while moving seductively and devouring an apple, an allusion to biblical character Eve that is interwoven throughout the work. As we are simultaneously presented with dueling feminine characterizations, Yatkin challenges us to delve into the female experience of negotiating between the imposed tropes of the virgin/whore dichotomy, in which a woman is simultaneously perceived as pure, selfless, and sacrificing while also evil, selfish, and vain. By the end of the piece, the all-female cast comes together, bound not only by purpose but also audibly by breath, in a stir of virtuosic athleticism and subtle gesture that truly embodies the complex nature of the female internal experience. Yatkin’s “On the Eve Of…” along with the dynamic works of Hanson and Sanders-Ward will be gracing the Josephine Louis Theater’s stage, 20 Arts Circle Dr., Evanston, in “Danceworks 2018 @ Hi-Speed” March 2 – 11. Tickets are $25, available online at wirtz.northwestern.edu/danceworks-2018 (Use promo code INDUSTRY for a professional dancer discount) or by calling 847-491-7282.